Despite a chilling start the sun was (eventually) shining on our second model railway auction of 2018. There were 433 lots for keen bidders to choose from. 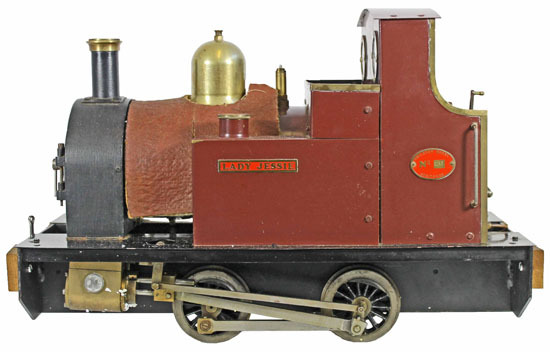 Beginning with the real steam section, this Chelston Model Engineers (CME) 3½ inch gauge No. 13 ‘Lady Jessie’ 0-4-0 maroon tank locomotive realised £720. This Mamod ‘Steam Roadster’ No. S.A.1 sold for £168. 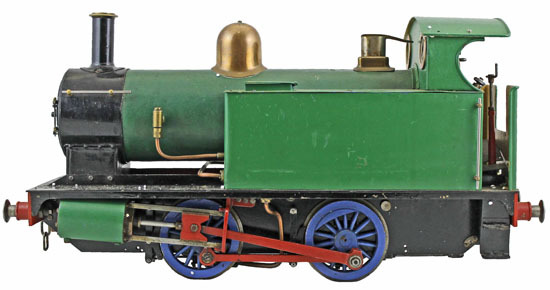 And this scratch/ kit built 3½ inch gauge 0-4-0 green body, blue wheels tank locomotive achieved £630. In the O gauge section this ACE Trains LNER A4 Pacific 4-6-2 4494 ‘Osprey’ No. E/4 realised £690. 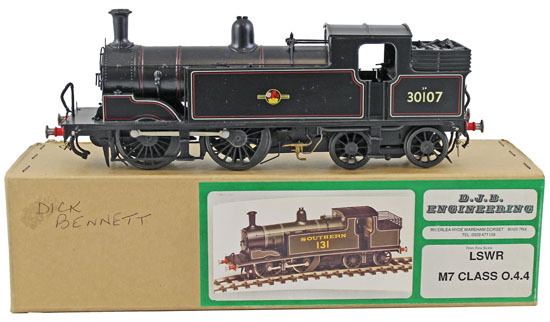 This DJB Engineering BR black 30107 M7 Class 0-4-4T locomotive sold for £432. 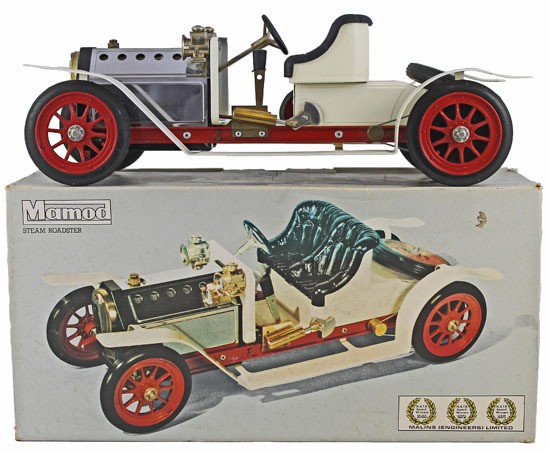 This Hornby 20v electric No. 2 Special LNER green 201 ‘The Bramham Moor 4-4-0 locomotive achieved £336. And this Scratch/ Kit built electric BR green 34107 ‘Blandford Forum’ Streamlined West Country Class 4-6-2 locomotive and tender realised £600. Moving on to the OO gauge section this modern Hornby DCC fitted BR black 44875 locomotive and tender No. R2804XS sold for £180. 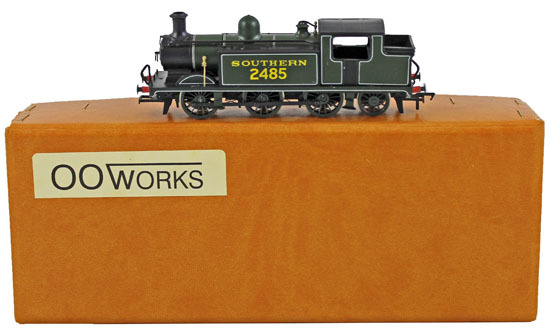 This OO Works Southern green 2485 N2 Class 0-6-2T locomotive achieved £120. 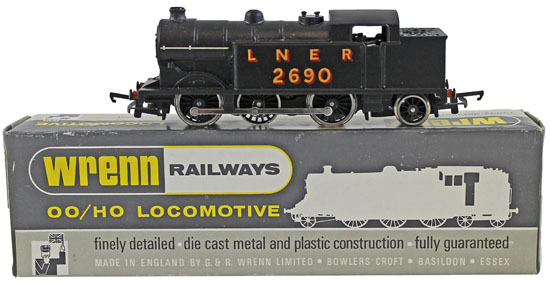 And this Wrenn LNER Class N2 Tank 0-6-2T 2690 No. W2217A realised £144. Our next Model Railway auction will be held on Wednesday 16th May 2018. The full catalogue for this sale will be on our website in the next few weeks or keep an eye on our Twitter and Facebook pages which will include updates of our latest auction news.